It is recommended that you prepare yourself ahead of time to ensure that you can make the times for each portion of the test. See criteria below. Interview consists of interview panel of approximately 3 individuals from the Sheriff’s Office and Human Resources. Your background investigation will be conducted by a member of the Sheriff’s Office. A pre-employment screening will take place before applicant is allowed to begin employment. Prior to entering a Basic Police Officer Training (BPOT) program the student must demonstrate a minimum fitness level as measured by the following battery of four tests listed below. Each student will be tested two weeks prior to the first day of the training program. Those students who do not meet the minimum standard in all tested categories will be dismissed and rescheduled for a subsequent academy. 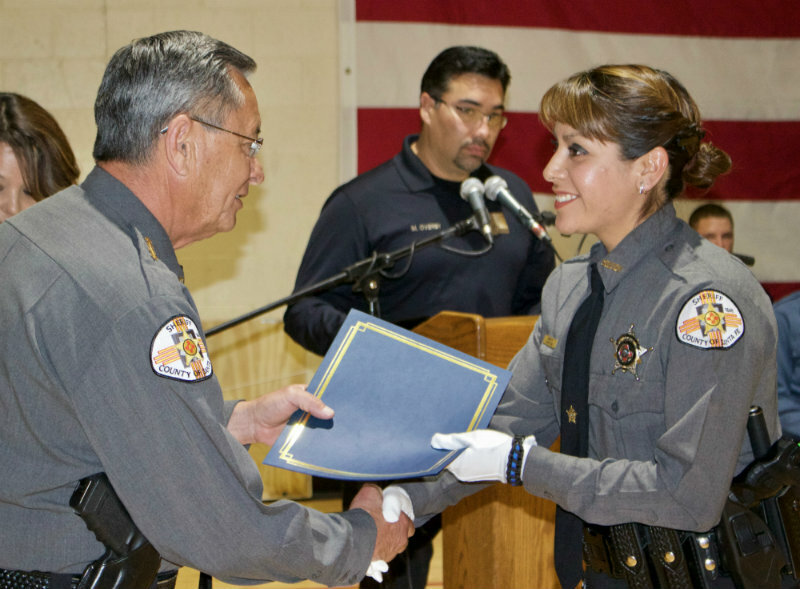 Sheriff’s Deputy Cadets will be required to attend a 16-week academy through the NM Department of Public Safety (DPS). Lateral hires may be required to attend the Certification by waiver through DPS if necessary.